Imagine being able to spend your holidays by the sea, working on your fitness under the Maltese sun, while surrounded by idyllic views far away from your job and day-to-day problems. So what is stopping you? Take advantage of Fitness & Yoga Holidays in Malta, the best training and weight-loss retreat in Europe. Grab an opportunity to become more active and get in shape. 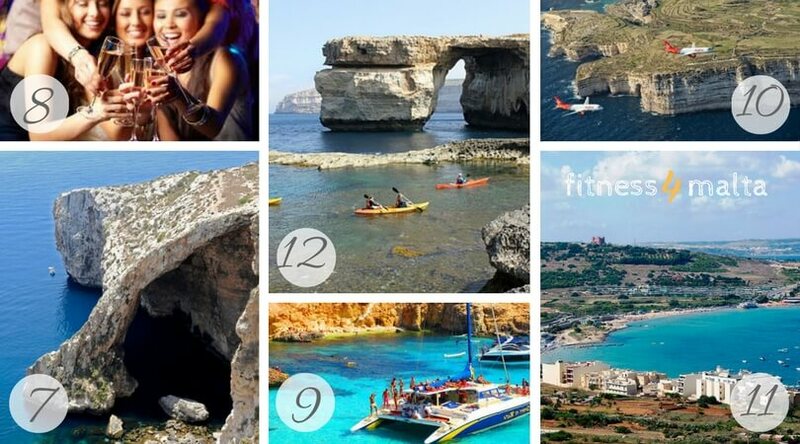 Fitness & Yoga Holidays in Malta is a perfect getaway for friends and single travellers regardless if you are already in a great shape or just looking to get fitter! Fitness & Yoga Holidays in Malta offers 5-day,8-day or 15-day training retreat on the sunny island, designed by an all-star group of professional trainers, eager to share with you their passion for fitness and adventure spirit. Our instructors will motivate you to lose weight, face new challenges, embrace a more active lifestyle, and become fit in soul, mind, and body alike. Everything during your weight-loss (and not only) getaway in Malta was built to suit your needs. You can join us any day of the year. You can choose different accommodation packages suitable to your budget. We run up to 20 different classes daily, 7 days per week and you can sign up for each of them directly from your smartphone, using our free mobile application. You can create your own training programme choosing different program duration, classes type and exercise formats. All according to your own preferences. Our Fitness and yoga sessions take place indoors or outdoors. Indoor classes are organised in the boutique style, private Training Studio and outdoor classes on the breathtaking seafront promenade nearby. Every class is run by a professional instructor who will guide you and help you benefit the most out of each session. IT’S TRAINING HOLIDAY, NOT A BOOT CAMP! Fitness & Yoga Holidays in Malta offers you balanced synergy between holidays and working out sessions. You are in control when what and how often you are going to train while you are in Malta. 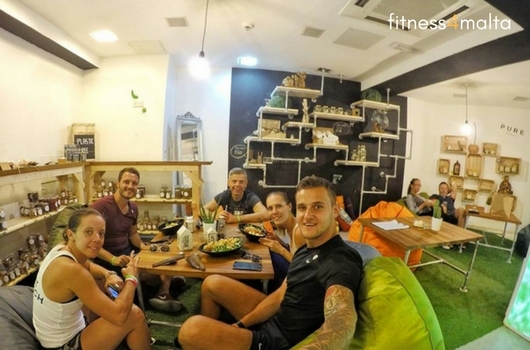 You are not coming for a boot camp as you know it, so expect plenty of free time for sightseeing and relaxing between sweaty training sessions! We’re focused on improving you as a whole – working together on everything from your endurance, strength and muscle tone, all while making your vacation as enjoyable and fun as possible. Malta’s natural outdoor surroundings are the perfect environment to recharge your batteries, banish stress and motivate yourself to become fitter and healthier on every level. Fitness & Yoga Holidays in Malta are suitable for everyone between 18-55 years of age, regardless of body type and physical condition. We do not refuse anyone, however, please bear in mind that good health is required as some training sessions might get intense. Our classes and the workout program is customised for those who are looking for the weight-loss vacation, muscle gain or toning exercise program. If you are a beginner, we have also several yoga and pilates classes, recommended for our less trained guests. Don’t be afraid to join us alone. Maltese Islands are popular among single travellers, especially women. As a fact, Malta was voted the third safest country in Europe. The crime rate on the Maltese Islands in lower only in cold Iceland and tiny Liechtenstein! Malta and Gozo offer over 300 days with the sunshine during the year. More than in any other European country! Be prepared for at least 5 hours of sun in January and even 12 sunny hours in July. Fitness & Yoga Holidays in Malta package does not include your flight to Malta. There are, however, several regular and low-cost airlines (Wizz, Ryanair, Easyjet, etc.) flying directly from major European cities. Finding the most convenient flight is the only thing you need to take care of – just check with Skyscanner for the best options. If you added airport transfers to your package, our driver will pick you up from the airport and drive you to your selected accommodation. Our classes are being held in Freemyme Training Centre located within 5 up to 15-minute walk from your hotel. We offer you a large selection of outdoor and indoor workouts to choose from, including sculpting classes, intensity classes, pole fitness, and yoga. Classes are taking place indoor the and outdoor at the seafront promenade. Have some questions? Our trainers will be happy to help you with suggestions for your daily training schedule. All you need to do is ask! choose your goal classes: legs, back, abs, etc. muscle growth classes… and much more! Attention! Sunday is your resting day when we encourage you to loosen your muscle and take a day off training or join any of yoga class available. All classes are in English, but do not stress out if you are not fluent in the language! Our trainers will show you how to exercise correctly, will you need any assistance. Few days prior to your departure to Malta you will receive an e-mail with detailed information about your Fitness & Yoga retreat in Malta, including login details to your training account. 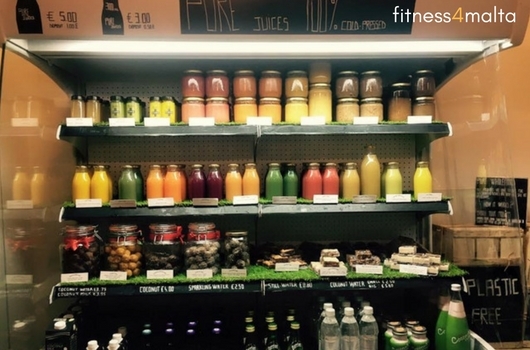 Personalised training account allows you to book/cancel any of classes available on the timetable. Before we welcome you in Malta, we will send you a link to our Training Centre mobile/desktop app. This application will allow you to register for any class that you desire. If you don’t enjoy a class, just choose another one. It is that simple! We will pick you up at the airport and drive you to your accommodation. 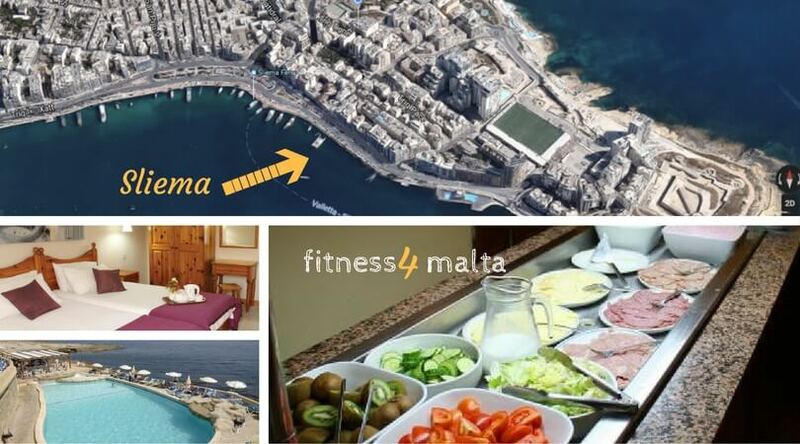 One of our Fitness4Malta representatives will meet you at your hotel to discuss the upcoming holiday and provide you with a detailed itinerary program. On your second day in Malta, it will be time to begin your training routine. 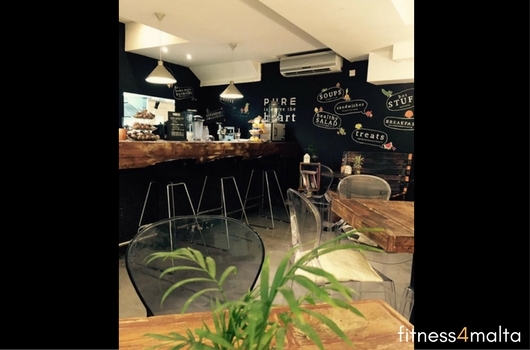 Come to Freemyme Training Center where you will meet your trainers and get familiar with our workout schedule. This Intro Meeting is the beginning of your fitness experience in Malta. Now is the right time to ask all the questions and decide what kind of workout program would be best for you. Check-out time from your accommodation is by 11:00 hrs. You can keep your belongings in the luggage room after that time. Our driver will pick you up from your accommodation 2,5 hours prior to your flight (available 24h, included in price). A trip to the airport should take around 30min, depending on your selected accommodation. 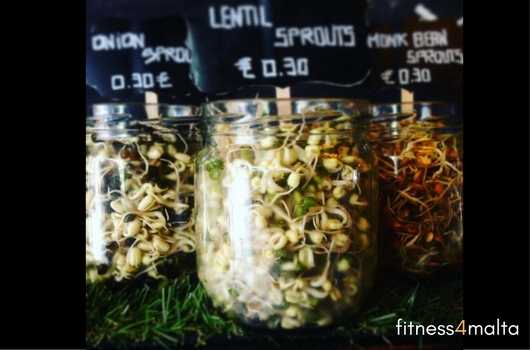 Below you can find all available during your Fitness & Yoga Holiday in Malta classes. You will be able to register for up to 14 pre-selected by yourself workout sessions weekly. It can be done from your phone (using Freemyme application) or directly from our website. Your Training Account will be activated during Intro Meeting and after arrival in Malta, so please refrain from trying to register for any classes before, since you will be asked for a payment. Your accommodation will be in one of our 3 or 4-star hotels, located by the sea in the lively Sliema, known as one of the best places to stay in Malta. For the low budget and single travellers, we offer stay in the hostel. In Sliema, you will find everything you need within walking distance, including restaurants, bars, coffee shops, malls, SPA centres, gym, massages, ferry to Valletta, sight-seeing English Bus (which visits all touristic places on the Island), diving school, hairdresser and much more. From one side, Sliema offers spectacular views across to Valletta, and from the other side, there are breathtaking open sea views. The promenade that stretches for about 6 kilometres is ideal for long walks or runs. Does it sound lovely? Don’t wait any longer and book your holidays with us today! Double rooms are valid only for 2 people booking Fitness & Yoga Holidays in Malta together. If you are a solo traveller, you will be accommodated in a single room at a single room rate. In our hotels, we do not offer “sharing” accommodation options for participants that are not booking together. If you decide to be accommodated in a hostel, you will share the room with other guests in double or shared rooms (3 – 5 people). If you wish to come to Malta with a companion that will not join our Fitness & Yoga Holidays in Malta, we can offer you a double room at the additional supplement (ask for more details). The choice of the hotel in which you are going to stay is subject to availability. After completing the booking form, you will be informed about the availability of accommodation. By all means, we take your comfort as a priority and do everything in our power to lodge you in the best room available. If you already have a place to stay or you are opting for accommodation with higher standard (5-star), just let us know in the comment box of our booking form. However, kindly note that hotels in Malta are not cheap and improving the standard of your accommodation might increase your Fitness & Yoga Holidays in Malta package rate double or triple (during the high season). Also, if you choose to book your own accommodation, please note you will not be entitled to use Fitness4Malta Customer Care Assistance while in Malta since our packages are limited to guests with Holiday Package. However, you will be entitled to Training Support offered at the Freemyme Training Centre. 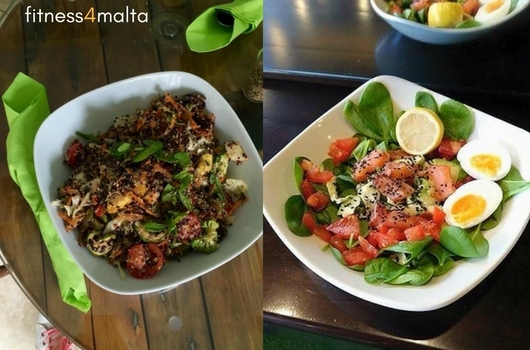 Breakfast is included in your Fitness & Yoga Holidays in Malta package (if booked at least 21 days prior arrival to Malta) but if you are looking for a complex weight-loss program, we strongly advise you to take advantage of our Healthy Food Pass is precisely for you! 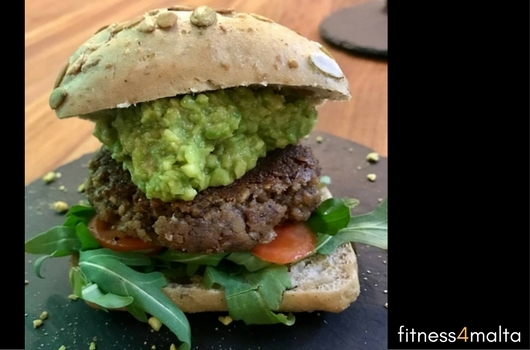 This super healthy and nutritious diet plan will enhance your training efforts while helping you lose weight faster. Also, it will take away a stress of looking for food options, while hungry, after a workout session. 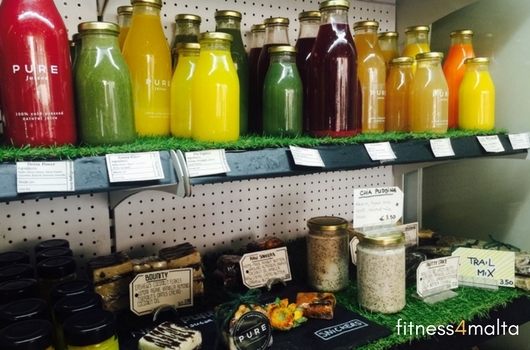 Our Healthy Food Pass is was created exclusively for Fitness & Yoga Holidays guests and can not be bought elsewhere. 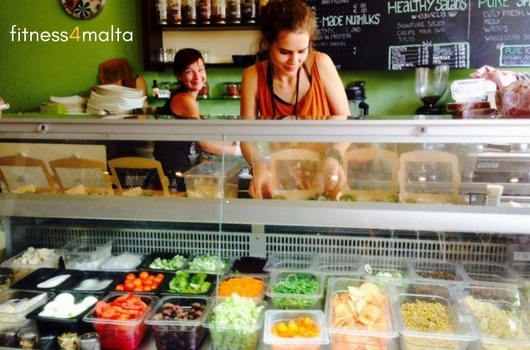 If you wish to purchase Healthy Food Pass just let us know about it before you come to Malta. The price is only 79 EUR (12 meals, 6 days, except Sunday) or 45 EUR (6 meals, 3 days, except Sunday). We would collect payment for your food pass, in cash, after your arrival in Malta. All additional ingredients like an extra egg, avocado, chicken, tuna, seeds or other extras can be added to your lunch (salad or wrap) up to 1.00 EUR, free of charge. 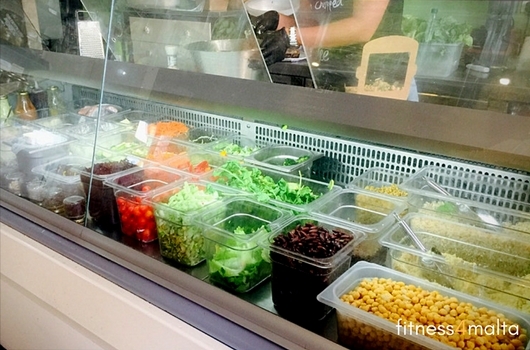 (there is 50 cent of returnable deposit for each jar ) OR healthy wrap OR small salad OR gluten-free ciabatta. *Opening hours might be changed without any notice. Always check the note on the bar or restaurant door. NOTE: PURE Bar is temporarily closed for the renovation. You can use your Food Pass Voucher at the PURE Restaurant. – Plan your meals in advance. You can take them at any time but note that salad bar is closed from 6 pm weekdays. – You can take both meals at the same time. – You can have your meal as “take away” option or eat inside. 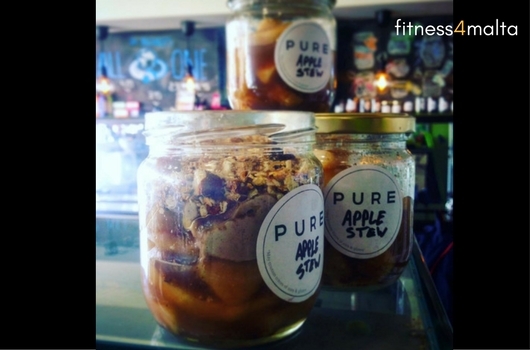 – Your voucher is valid both in Pure Bar (next to the training centre) or in the Pure Restaurant (5-7 min. walking distance). – Check locations of both places on the interactive map below. – If you have trouble to find it, just use google maps direction on your phone. 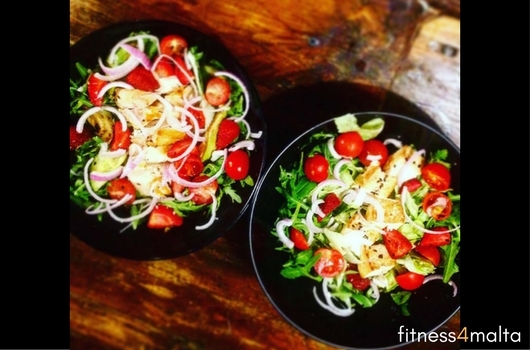 – If you wish to change your meals for something different on the menu- you can! 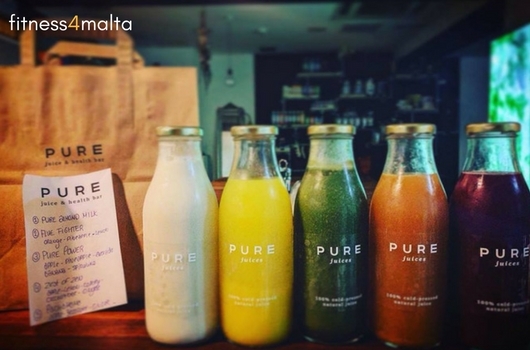 Just ask Pure’s Staff for the alternative options. – The salad bar is not refilled after 4-5 pm. Do not come for your meal too late. – There is no refund for unused meals, if you decide to skip your lunch or dinner, just remember you can always use is another day or change it for another option, for example, a cafe or a sweet. After leaving Freemyme, at the iCentre Store turn left. Continue straight for another 100 meters. PURE Bar is on your left side, opposite the vintage bicycle hung up on the wall. As a customer of Fitness4Malta. 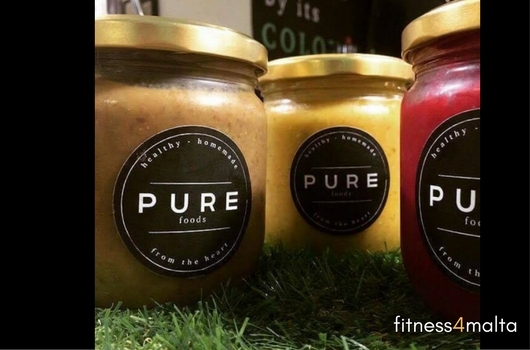 PURE Restaurant also offers recently opened a bigger restaurant, situated at. 10 min walk from your Training Centre. 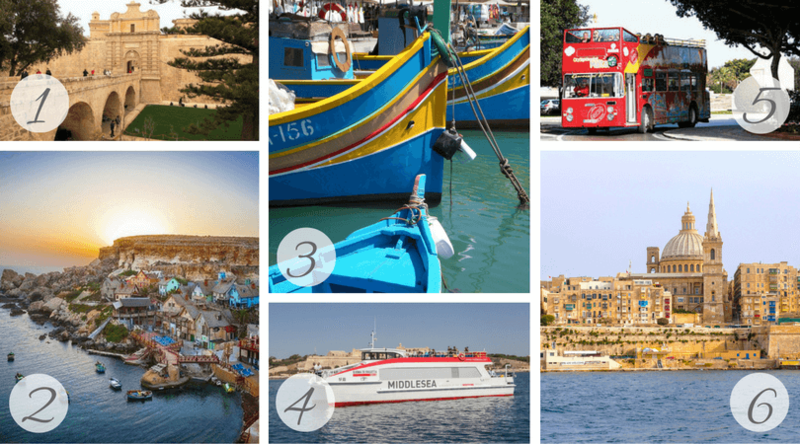 TOP ATTRACTIONS & ACTIVITIES – WHAT TO DO IN YOUR FREE TIME IN MALTA? Malta is a small island, easily accessible by public transport. On top of that, your accommodation will be in mainly in Sliema or St. Julian’s- the very center of the Island, where you find pretty much everything you need within walking distance. Activities available within close proximity to your hotel. Sailing & Speedboats private rental or group tours. Facilities available within close proximity to your hotel. The Silent City- Mdina– the island’s capital from antiquity to the medieval period. Marsaxlokk– a traditional fishing village. Don’t miss fish market on Sunday morningDiving school. Hop On- Hop Off Sightseeing bus (English bus), which is a great way to visit most of the interesting places on the island in just one-day excellent restaurants, coffee shops. Blue Grotto– is a number of sea caverns on the south coast of Malta with fantastic light reflections inside. Paceville – Maltese nightlife street is located in Saint Julians. Access to all nightclubs is free. Blue Lagoon– Comino- the paradise for snorkelers, divers, photographers and walkers. Dingli Cliffs– part of the highest land mass in Malta, about 200 meters above sea level. Lovely sandy beaches: Golden Bay, Mellieha Bay, Paradise Bay, Pretty Bay, Għajn Tuffieħa. SPA, gym, massages (approx 35EUR/h), hairdresser, shops, malls, supermarket. National Aquarium – Qawra- first aquarium in Malta. Cafe del Mar in Qawra (next to National Aquarium). Shopping in Sliema – Tigne Point is largest shopping mall in Malta. 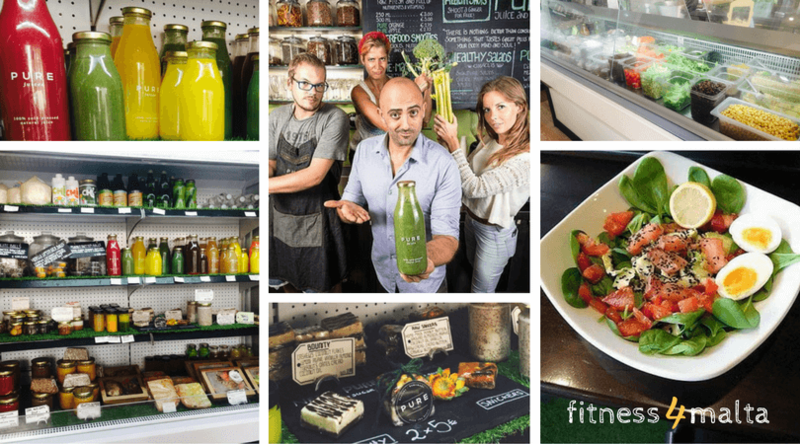 Freemyme offers boutique style training centrein the very heart of lively Sliema, just a few metres from the warm sea and across the street from coastline promenade. If you are not sure what is the best way to get to Malta use Flightsfrom.com to find your direct or the most convenient connecting flights. Malta is the best European destination for those interested in active holidays. Relax and enjoy your stay in this pearl of the Mediterranean by getting a flavour of this vibrant location. Depends on the season and package duration, we offer fixed prices for single and double rooms in all our 3-star and 4-star hotels. For 2019 Rates click below. ￼To book your Fitness & Yoga retreat in Malta, you must complete the Booking Form first. If you have any questions regarding our packages, please check the FAQ section to see if we have any immediate answers for you. Otherwise, contact us via e-mail. Please be aware that you should receive an e-mail confirmation email upon booking. In case you do not see it, check your junk/spam folder. To book your holiday click below.